With a few weeks of school remaining, summer bucket lists have been dreamt up, camp is booked and lake weekends are scheduled. But have you ever found the fun moments being overshadowed by the stress of keeping up at home? LOCATION Your command center should be in a highly trafficked area that is regularly seen by each member of the family. 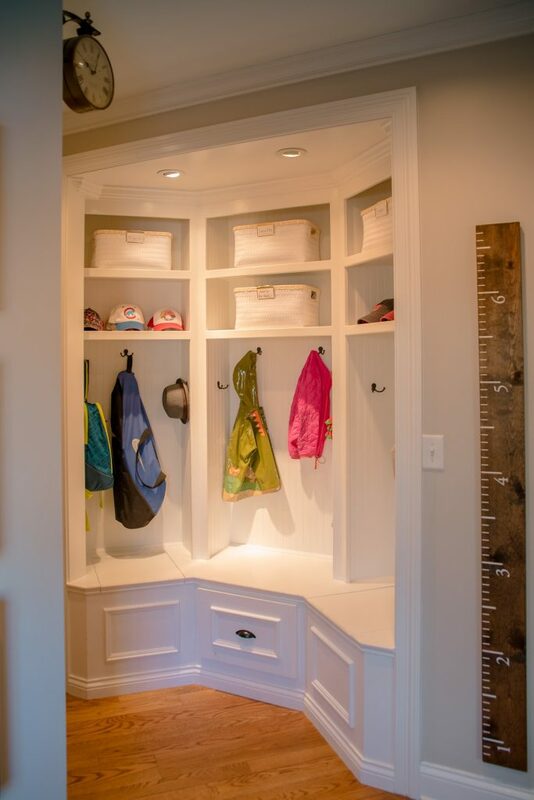 Use a blank wall in your mudroom, the inside of a kitchen cupboard or take over a corner of your laundry room. PERSONAL STATION Relish in the space you have by keeping it tidy. These spaces can quickly get overrun with clutter. Add monogrammed tote bags for each family member to store items that need to travel to bedrooms or other locations in the house. FAMILY CALENDAR Create a family calendar a week or two at a time that highlights each family member’s commitments in their favorite color. Set aside 15 minutes each Sunday to update and sync with your electronic version. GOALS Add a whiteboard to keep track of chores for the kiddos and weekly goals for adults. Don’t forget to include fun achievements you’d like to conquer as a family and how you will celebrate once you’ve met milestones along the way. MAIL + RECYCLING STATION Tackle that stack of mail the minute you walk in the door. Keep a recycling container close by to toss junk mail. Create a small station to hold mail that “Needs Attention” and schedule a few times throughout the week to send RSVPs, pay bills and tackle other important documents. A Command Center creates a central space to keep your family organized, giving you more time to enjoy the memory making of summer. If you need help creating an organized space for your family, contact The Baer Minimalist at 317-294-8409. For tips and inspiration, follow @thebaerminimalist on Instagram and Facebook.